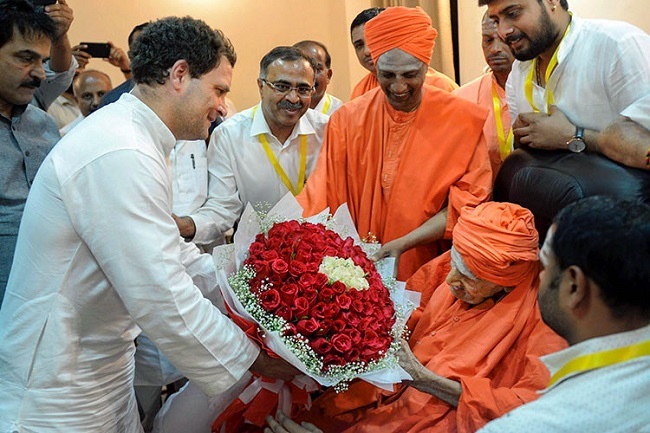 Politicians cutting across party lines - from Prime Ministers to Chief Ministers and the who’s who in state politics would court the 111-year-old seer Shivakumar Swamy in an attempt to get his endorsement. Just a day later, the Siddaganga Mutt put out an official statement denying MB Patil’s claims. “On September 10, Mr M B Patil came to the Mutt and discussed regarding separate religion tag for Veerashaiva-Lingayats. I told him that the term Veerashaiva is used by educated in urban areas whereas the word Lingayat is widely used in rural areas. Since both terms are the same, it is better for all religious leaders and community heads to sit across the table and arrive at a consensus. However, I came to know through the media that Mr Patil had said that I have extended support to his campaign. I feel it is not a good move by anyone to divide the community by such means. Consensus is the need of the hour,” Shivakumar Swamy’s statement said. This marked the downfall for the Congress during the 2018 Assembly Elections. The party lost the votes of the Lingayat community as Shivakumar Swamy’s statement was solidified in the minds of thousands of Lingayats in the state who believed that the Congress was trying to rip apart a community, which wanted to be united. The 111-year-old seer, who has never been involved in the politics of the state, inadvertently became one of the greatest influencers of the state’s electorate. Politicians cutting across party lines - from Prime Ministers to Chief Ministers and the who’s who in state politics would court the seer, especially in the run up to elections, in an attempt to get his endorsement. In 2014, the Siddaramaiah government tabled the Karnataka Hindu Religious and Charitable Endowments (Amendment) Bill. The legislation sought to bring educational institutions controlled by mutts and other religious groups under the government’s Endowment Department. This issue blew up into a huge controversy with various seers opposing the move. 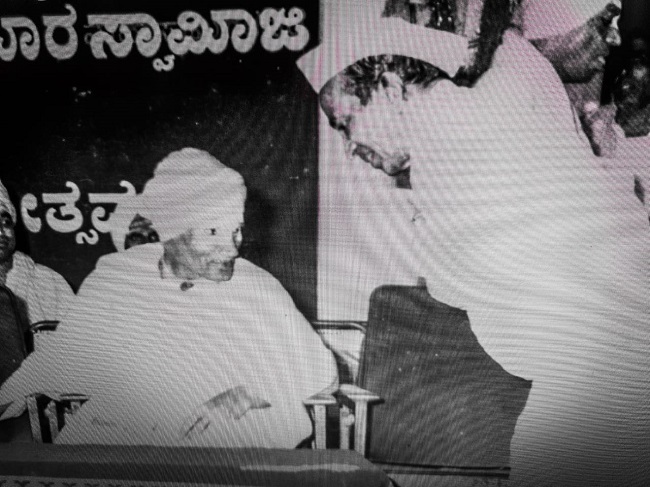 At the time, Siddaramaiah had visited the Siddaganga seer and obtained his advice on the matter. The government finally caved in. In 2017, a notification was issued seeking public opinion on the issue and finally, the government decided to drop the bill. “It’s no wonder that politicians seek guidance from him. Even when the seer’s body was kept for public viewing the bickering politicians came together and paid their respects to the seer. He never supported any political party but every politician would go visit the seer with the hope that he or she would be the one to win the seer’s favor,” said Ramakrishna Upadya, a political analyst. The Lingayat and Vokkaliga mutts started gaining power and influence in Karnataka during the mid-1980s. The then Chief Minister Ramakrishna Hedge gave the mutts land and permission to set up engineering and medical colleges. The Siddaganga mutt runs 124 schools and colleges and many of them provide free education to those belonging to the Lingayat community. “Ramakrishna Hegde’s move was a well thought-out political one. With just one stroke, he had managed to consolidate the vote banks of the Lingayat and Vokkaliga population in the state. Ever since, these mutts have attracted a large number of followers because of their charitable activities and the seers became influencers,” says political analyst Mahadev Prakash. He says that some of the mutts, like the Siddaganga Mutt, carry out extensive social work, which has endeared them to the respective community. The mutt has set up free hostels in which 10,000 children live. The mutt also runs a school, where 8,000 children, irrespective of caste and religion, get free education every year. “With Shivakumar Swamy, it was more so because he never indulged in politicking. Yet, he was extremely important to state politics as he had the power to influence the community. Not just the Lingayat community but all his followers from all walks of life,” he added. According to Mahadev Prakash, the seer's death will leave a massive void in state politics. 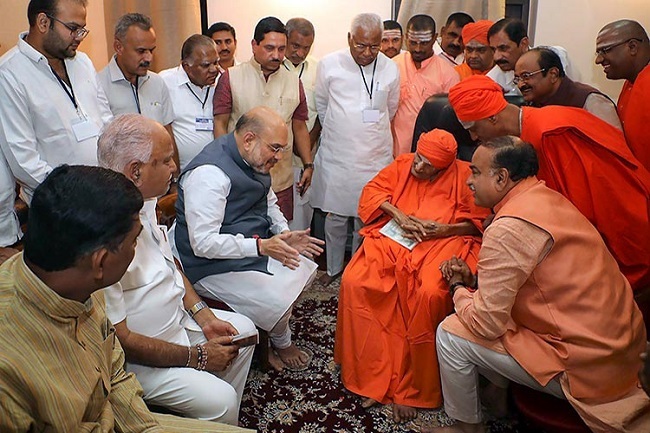 He also says that the unfortunate incident will now result in politicians courting the new seer, Siddalinga Swamy, with the hope of gaining the mutt's endorsement. "The seer was one of the most revered people in the state. He was a figure of morality, who everyone respected. With his death, the larger question will be whether the new seer will live up to Shivakumar Swamy's high standards or whether he will be driven to pick sides and form political allegiances like seers of the other mutts across the states," he added.